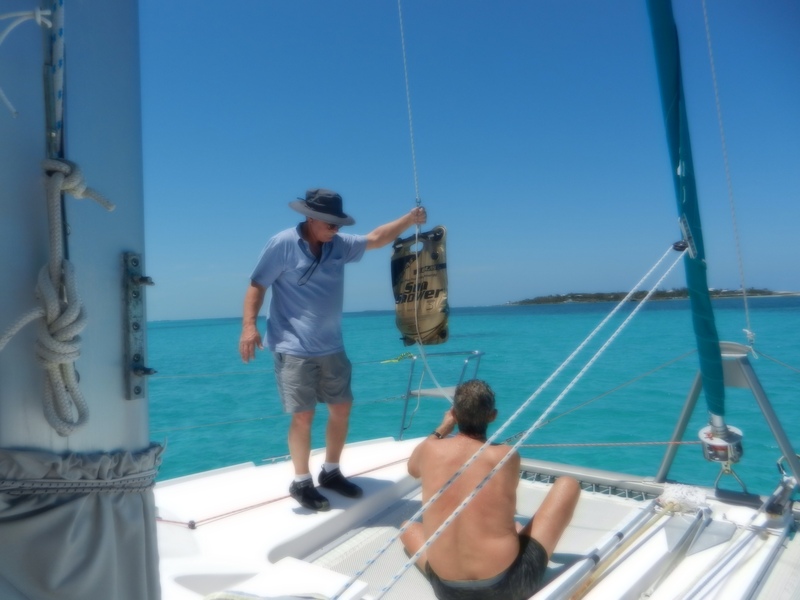 It was a beautiful sail. 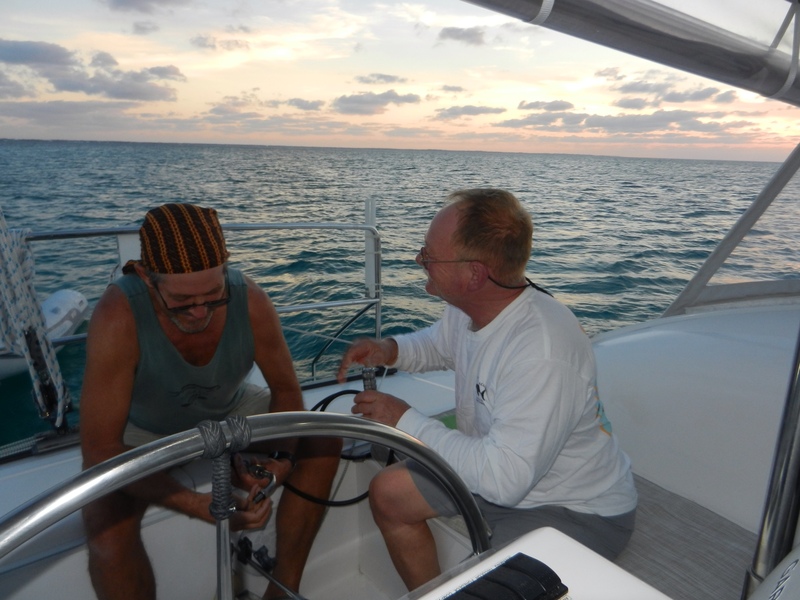 It only took a little over an hour to get to our destination so we just sailed around for fun before anchoring at Man O War. We had our first humbling experience here. 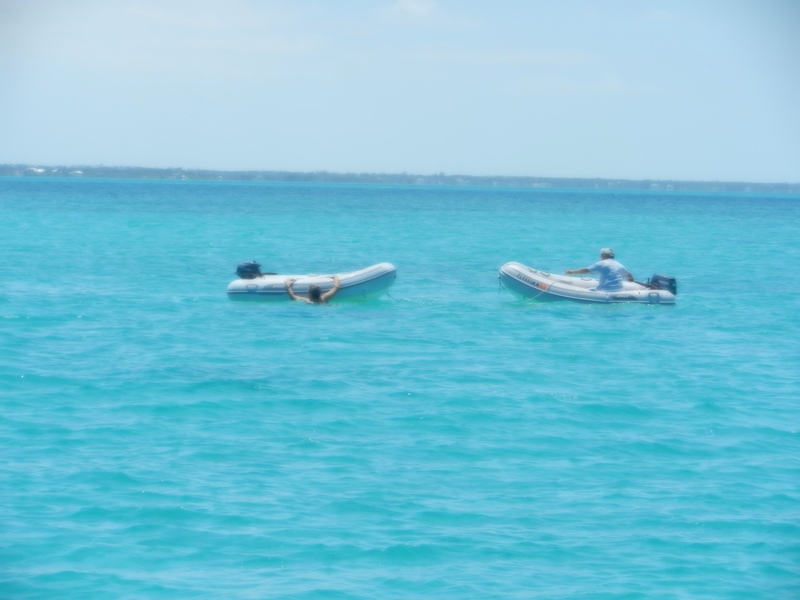 The dinghy escaped and began drifting out to sea. Jay, our hero, dove in after it and, fortunately, caught up to it. 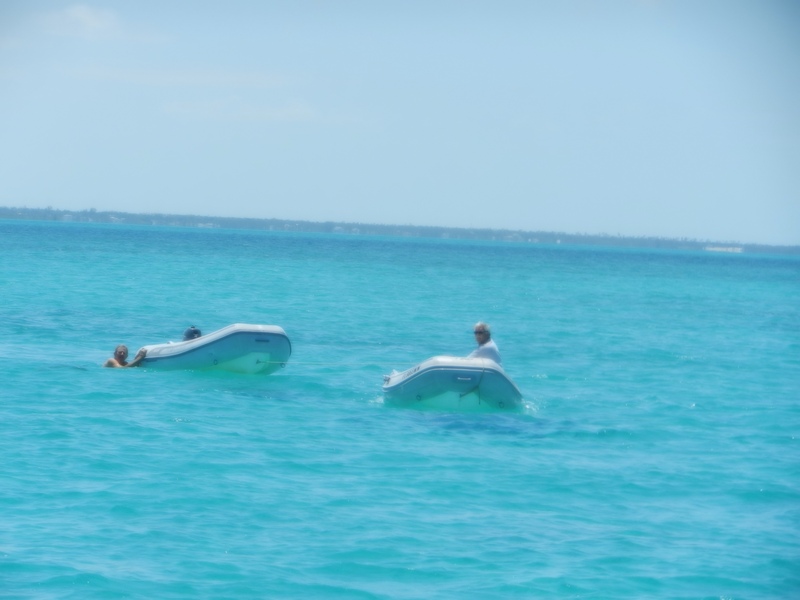 Also, our good fortune, the neighbor boat saw it happen and came over in his dinghy to rescue Jay and our dinghy and towed them safely back to the boat. 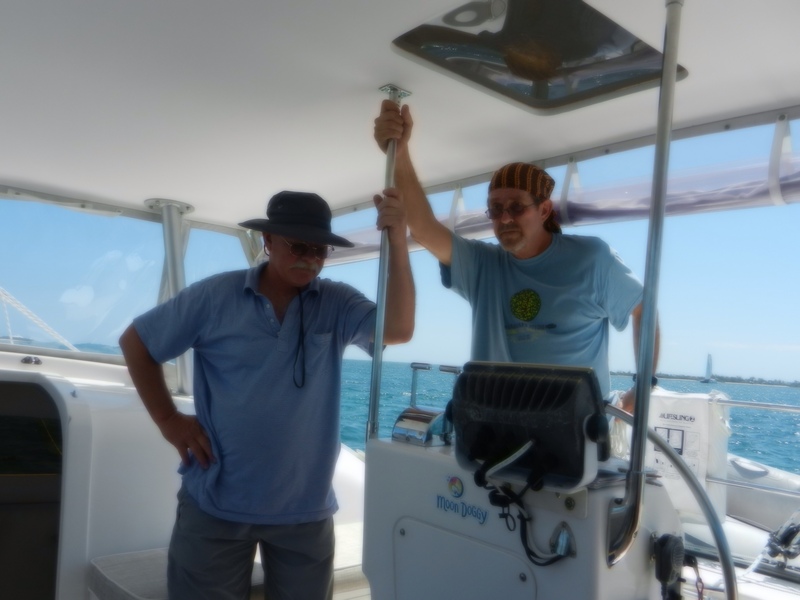 Boaters are a great group of folks and are really good at helping out their fellow boaters. Lucky us! 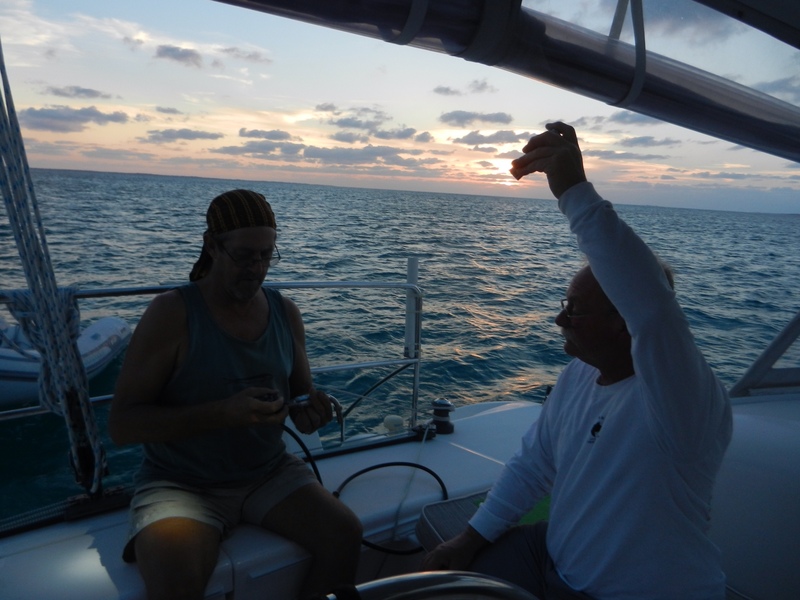 After the adventure Jay got to be the first to use the solar shower. 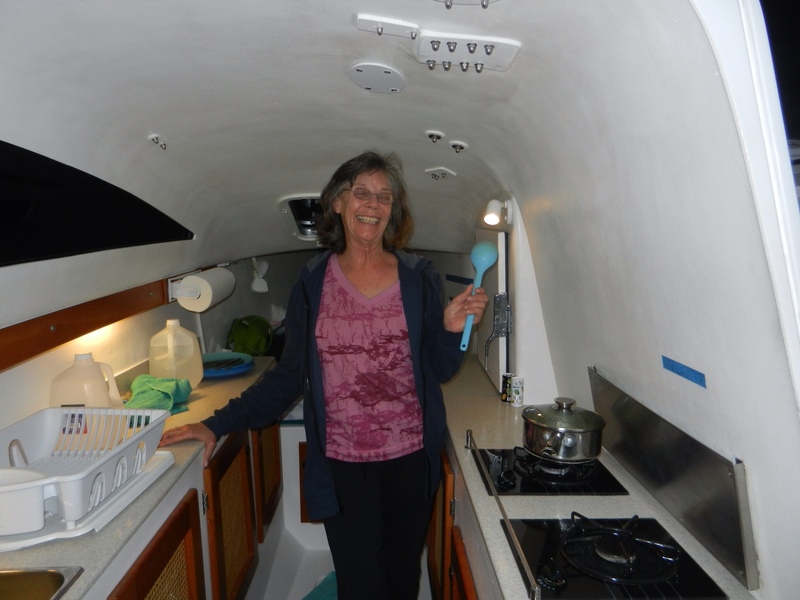 We took the dinghy ashore and bought groceries at the local store. 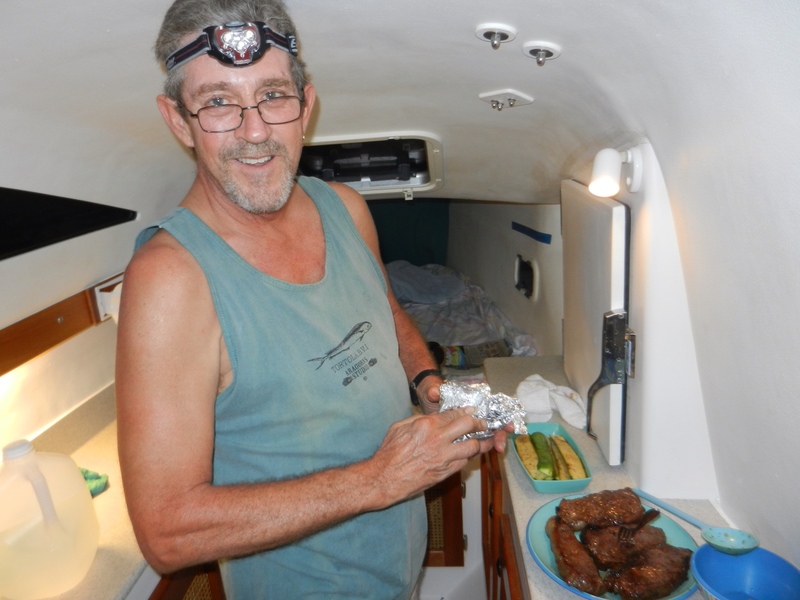 Jay and Stephen took the food back to the boat while Lyse and I shopped. We visited Albury Sail Shop, one of my favorite stores. Just about everyone in Man O War is named Albury as are all of the local ferries. 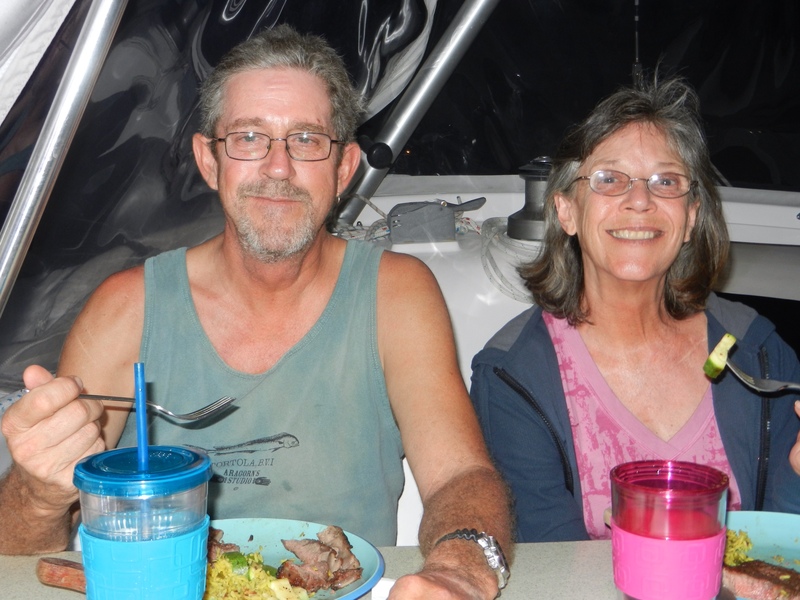 They are a big family here in the Abacos having been here for many generations we presume. The Bahamas were originally settled by Loyalists during the American Revolution. There's a British accent and attitude all about. Many Canadians come here as well. 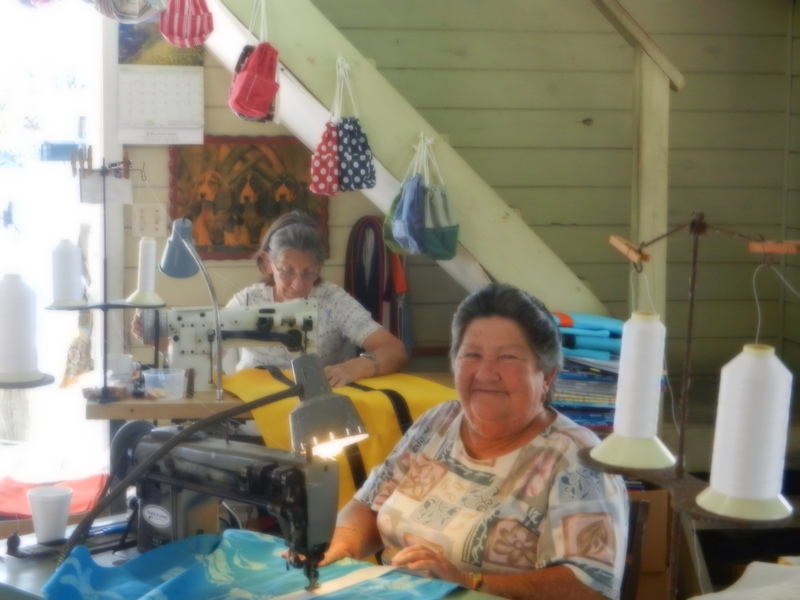 These ladies sew canvas bags on good old fashioned sewing machines. Their goods are made with love and last forever. 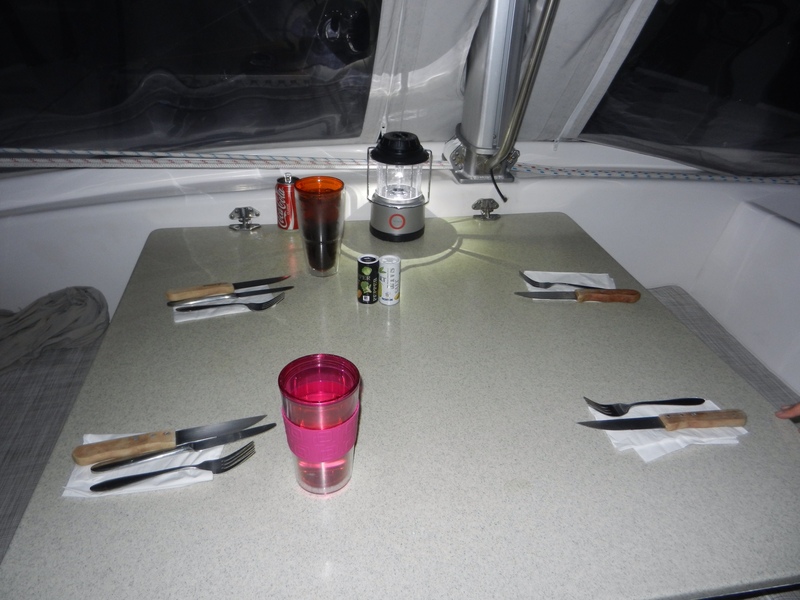 That evening we cooked our first meal on the boat. Setting up the barbeque grill for the first time was a bit of a challenge but Stephen and Jay conquered it. 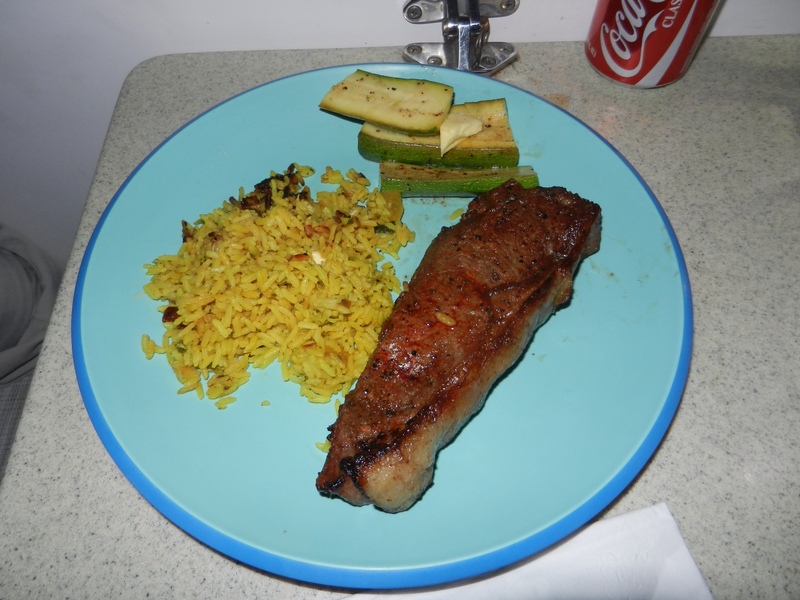 We ate steak, rice and grilled zucchinis….YUM! 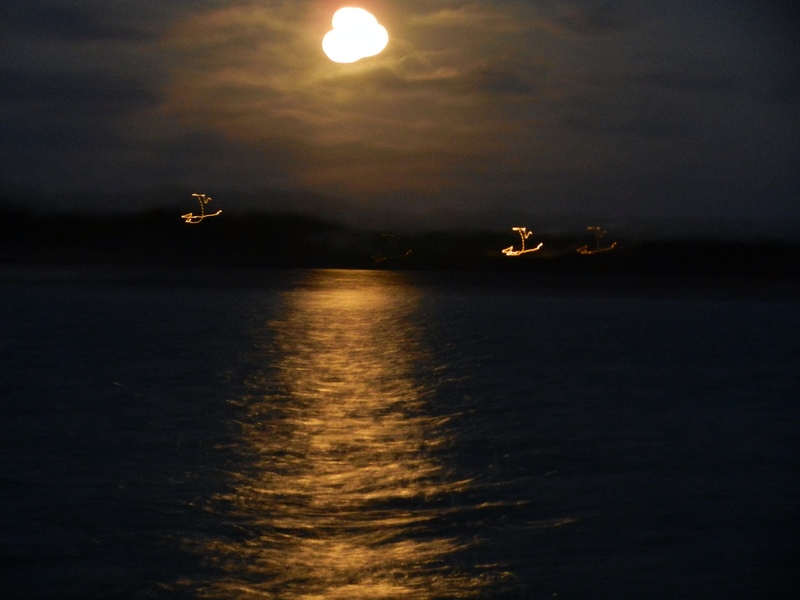 It was the official full moon evening. A little cloudy on the horizon but beautiful. I had difficulty getting the moon to hold still for my camera. 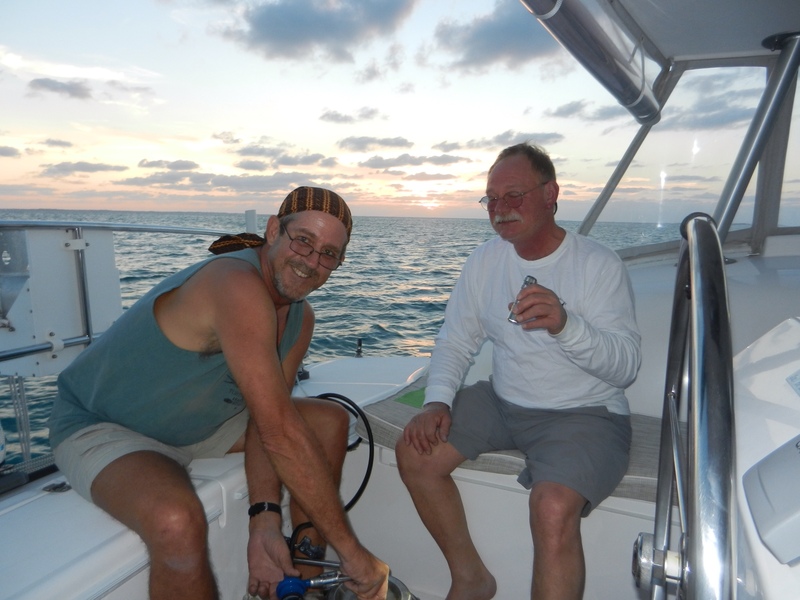 We look forward to sailing to Guana Cay tomorrow. It looks like you all are having a blast. 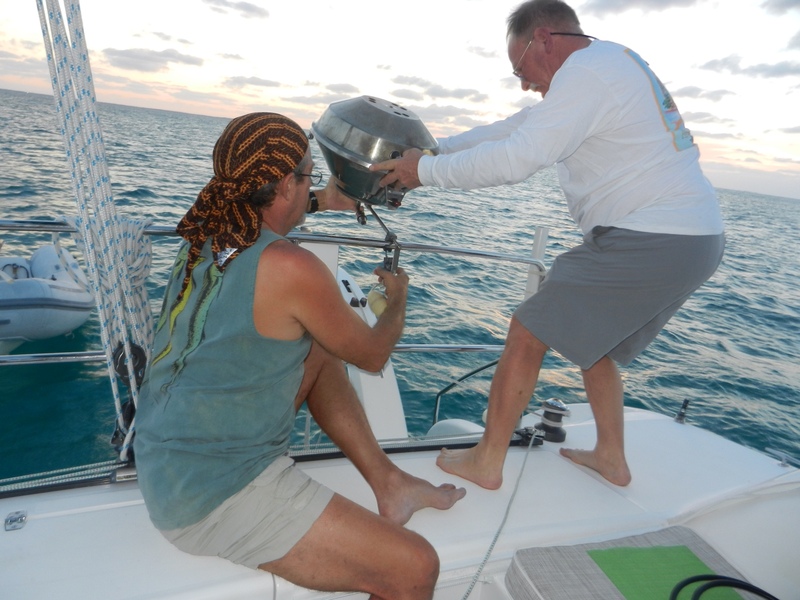 How many trips did it take to get all the supplies to the boat?